Archibald Alexander Hodge (1823–1886) was a principal and professor of systematic theology at Princeton Seminary. Though not as famous as his father Charles, A.A. Hodge was a notable theologian in his own right. In regards to his comments on public education, he reads like a prophet. A few months before he died, A.A. Hodge gave lectures that formed a book entitled Evangelical Theology. It is capable of exact demonstration that if every party in the State has the right of excluding from the public schools whatever he does not believe to be true, then he that believes most must give way to him that believes least, and then he that believes least must give way to him that believes absolutely nothing, no matter in how small a minority the atheists or agnostics may be. It is self-evident that on this scheme, if it is consistently and persistently carried out in all parts of the country, the United States system of national popular education will be the most efficient and wide instrument for the propagation of Atheism which the world has ever seen. When the statewide public school system first began in the mid-1800s, there was debate over how the schools could educate students from a variety of religious backgrounds. Hodge shows how the system would fail in this regard. If everyone objects to the teaching of someone else’s beliefs, then the system must give way to “him that believes least" (atheists and agnostics). This would be the case “no matter how small a minority” they may be. I am as sure as I am of the fact of Christ’s reign that a comprehensive and centralized system of national education, separated from religion, as is now commonly proposed, will prove the most appalling enginery for the propagation of anti-Christian and atheistic unbelief, and of anti-social nihilistic ethics, individual, social, and political, which this sin-rent world has ever seen. Does this not perfectly describe America's public school system today? Hodge was not a prophet. However, he understood the power of a school system that is centralized at the state and national levels, as we have today. And he understood the danger of such a system that is particularly “separated from religion” (a.k.a. atheistic). 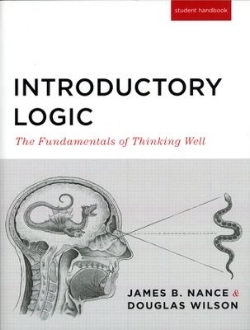 Thus Hodge predicted that America’s public school system would be an "instrument for the propagation of Atheism” and "enginery for the propagation of anti-Christian and atheistic unbelief, and of anti-social nihilistic ethics." In other words, Hodge predicted that America’s secular school system would be the engine of atheism. It is hard to disagree with Hodge’s logic. Schools train children and have great influence on future generations. And when there is a powerful secular school system in place—as there has been in America—it would be hard to expect anything different than what Hodge predicted. It is no answer to say that the deficiency of the national system of education in this regard will be adequately supplied by the activities of the Christian churches. No court would admit in excuse for the diffusion of poison the plea that the poisoner knew of another agent actively employed in diffusing the antidote. Moreover, the churches, divided and without national recognition, would be able very inadequately to counteract the deadly evil done by the public schools of the State with all the resources and prestige of the government. 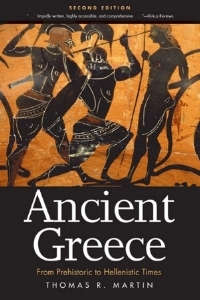 But, more than all, atheism taught in the school cannot be counteracted by theism taught in the Church. Christians have underestimated the power of America’s public school system, which is demonstrated by the fact that the majority of Christians still send their children to government schools. But as Hodge said, you do not give someone poison because you claim you also have an antidote to give him. Why would you have him drink the poison in the first place? In the same way, why would you send your child to receive an atheistic education and hope to overcome it at church? As Hodge says, the churches are inadequate “to counteract the deadly evil done by the public schools of the State with all the resources and prestige of the government.” The churches cannot compete with 30-plus hours per week of atheistic training. Pastors and parents have thus been fighting an uphill battle in regards to what the church’s children are learning in the public schools. We should not be surprised that America’s churches have been largely ineffective in counteracting the atheism taught in the public schools. We have seen that their complete secularization is logically inevitable. Christians must prepare themselves then, for the following results: All prayers, catechisms, and Bibles will ultimately be driven out of the schools. These great minds of the 19th century foresaw the damage the public school system would bring on the religious and moral fabric of America. Why are Christians—who have experienced the negative effects of the public schools for over 100 years—so stubborn in their refusal to listen to these men? Both Hodge and Dabney are calling us to abandon the public schools and seek alternative forms of education for our children. It may be too late for our country. But the church, and her children, can still be spared. 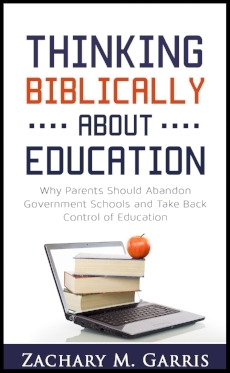 This article is adapted from a chapter in my book Thinking Biblically About Education: Why Parents Should Abandon Government Schools and Take Back Control of Education. A.A. Hodge, Evangelical Theology (Carlisle, PA: Banner of Truth, 1976), p. 242. R.L. Dabney, “Secularized Education” in Discussions, vol 3 (Carlisle, PA: Banner of Truth, 1982), p. 289.